A serene and secluded village on the banks of the Kabani River is Cheruvayal. The village is located just 5 km away from Mananthavadi. This extremely beautiful village is rich with skilled artisans and farmers. The lush green paddy fields, exquisite pottery making units and the spiritual shrines add to its rustic charm. 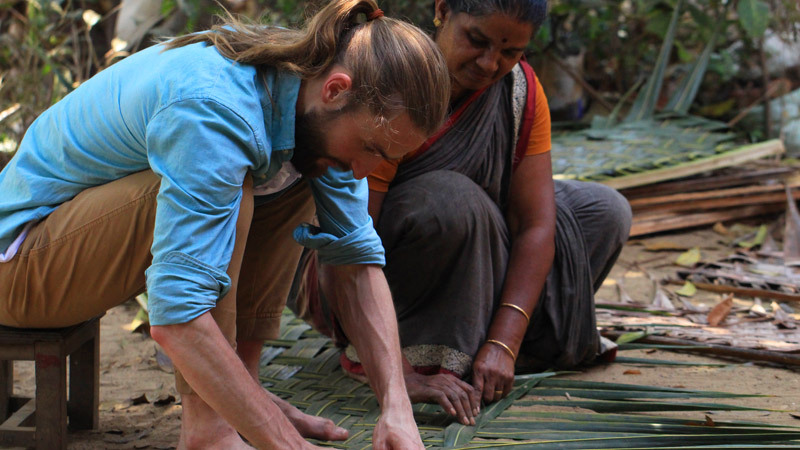 The skilled artisans of Kerala are ready to teach you the art of making Bamboo crafts. Take a close look and learn how those beautiful Kotta and Vatti (baskets) are made. The farmers will share with you the process of organic farming. Also, take a look at the traditional equipment used for farming. Learn all about organic rice farming and discover up-close the life of a farmer. You will be served with a delicious traditional meal on a plantain leaf including unique Wayanadan rice and savoury dishes. 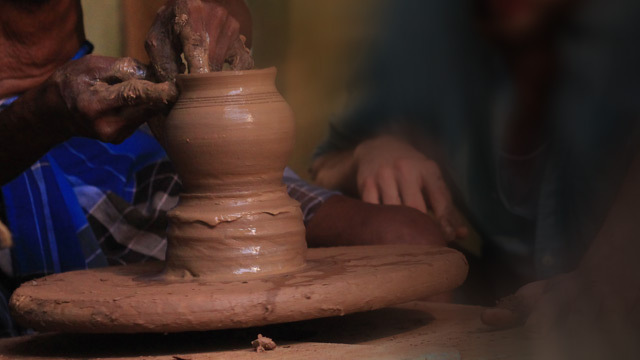 The way the skilled craftsmen of Kerala mould clay to make attractive pottery will surely surprise you. The presiding deity here is the Mother Goddess. The shrine is an important place of worship for the tribal communities in Wayanad and is closely linked to their way of life. Learn the technique of hi-tech poly-house farming. In this method water and land are used optimally, thereby reducing dependency on rainfall. The Jain Temple at Punchavayal showcases the Jain influence on the culture of God’s Own Country. The temple is considered as one of most important ruins in the State. It is rich with beautifully carved pillars and an exquisite architectural style.